We guide our clients toward reliable financial solutions that will help them achieve their key goals. The right retirement plan can simplify your life, reduce your exposure to financial risk, and enable you to enjoy the freedom of a worry-free retirement. What You Really Want to Know Before You Take the Leap. 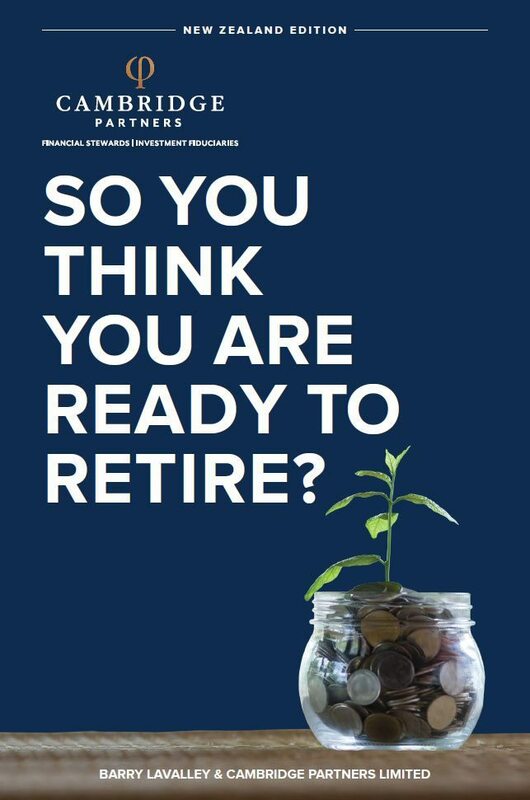 Written by Barry LaValley, noted Canadian retirement planning expert, this book is a thought-provoking read for people on the verge of planning for their retirement. It has been updated by Cambridge Partners specifically for a New Zealand audience.